Seated in the chair Mary Elvira Wilkes Harrison (Mrs. Robert F.). She's holding on the left chair arm Margaret Elizabeth Garey on the right arm Adelaide Bush Stevens. In her lap Eleanor Ferrell and Neil Harrison Briggs. Seated on the ground on the left Francis Harrsion Stevens on the right her older sister Lois Mary Stevens. 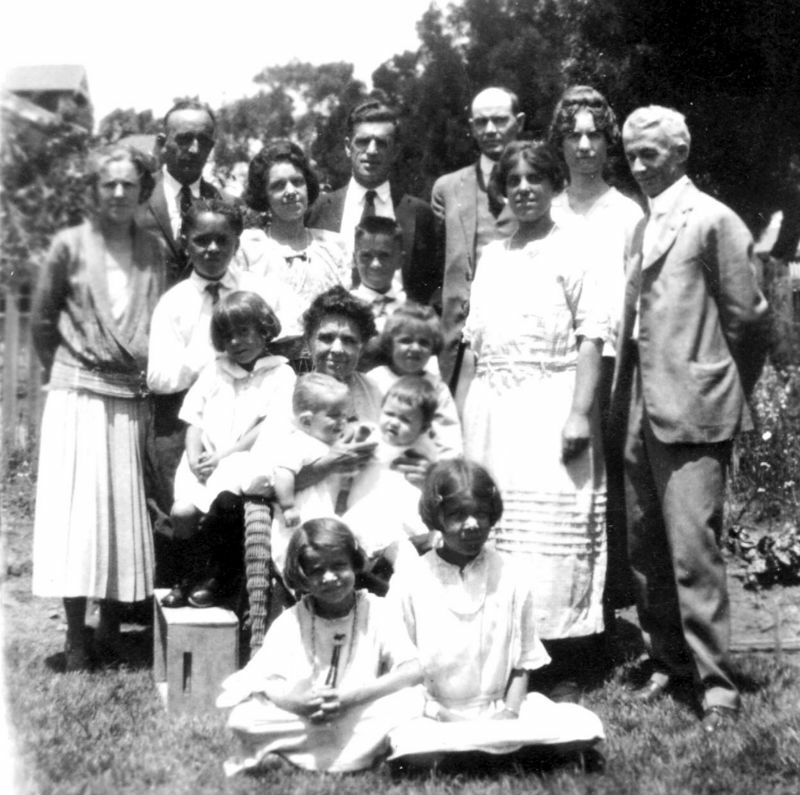 From left standing Elizabeth Sparkes (Harrison) Briggs, Stephen Thomas Garey, Stephen Thoms Garey, Jr., Elvira Azile (Harrison) Garey. Boy standing in front is Robert William Garey. William Wilkes Harrison, Louis Ferrell (bald), Ruth Sigismunda (Harrison) Ferrell. In front of them Permelia Adelaide (Harrison) Stevens and husband Frank Gilbert Haven Stevens. Taken in Santa Monica, California about 1923.